Homeopathy. Recently one of the most affronted healing systems in natural medicine here in Canada. There is no shortage of adversaries to homeopathy outside of the respected space it occupies within the natural health industry and the millions of people who use it around the world. Still, homeopathy’s principles run contrary to Health Canada’s beliefs making the future for homeopathic remedies and practitioners uncertain. 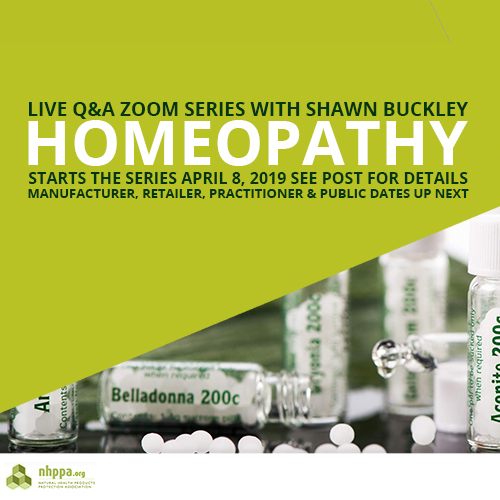 The Q&A Zoom Call Series kicks off with homeopathy. Real talk about the threat has to be had. The Self-Care Framework is complex and confusing. We would like to offer a knowledge base, that no one else can, clearly articulating how this specialized area in health care will be affected and what we can do about, together. This invitation is extended far and wide, from coast to coast, to any professionals working in the homeopathic industry. Share and be there! Eight more calls are scheduled in NHPPA’s Q&A Zoom Call Series with Shawn Buckley!